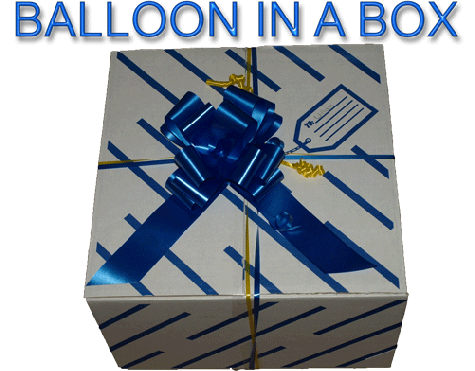 Why not try something different and give someone a pleasant surprise with a balloon in a box. We offer a fully customisable and personalised service allowing you to choose what’s included and more importantly how it looks. This is an ideal gift for Valentine’s day, Christmas, Birthday’s, baby presents and anniversaries, too name but a few. 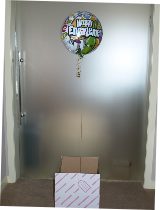 There is a vast selection of foil balloons and coloured ribbon to choose from. For that extra special touch, we also offer the option of including a small teddy. Most importantly, we will deliver your unique gift by hand (if within the catchment area), and if not via next day delivery. For delivery charges, please see the ‘Delivery’ section within the 'About us' page.